Nick Dougherty and Jamie Donaldson look back at the best of the second-round action from the inaugural Saudi International. Dustin Johnson raced into a three-stroke lead after breaking the course record during the second round of the inaugural Saudi International. The world No 3 threatened a '59 round' on his was to a nine-under 61 at the Royal Greens Golf and Country Club, mixing seven birdies with an eagle to pull clear of the chasing pack. Li Haotong is three back on eight under alongside Zander Lombard in tied-second, while world No 1 Justin Rose missed the cut in a regular European Tour event for the first time since 2011 after a two-over 72. "I was trying to go birdie-birdie, but I never really thought about it [a 59 round]," Johnson told Sky Sports. "I wasn't even thinking it was a par-70, I was just trying to keep getting my score lower and lower." 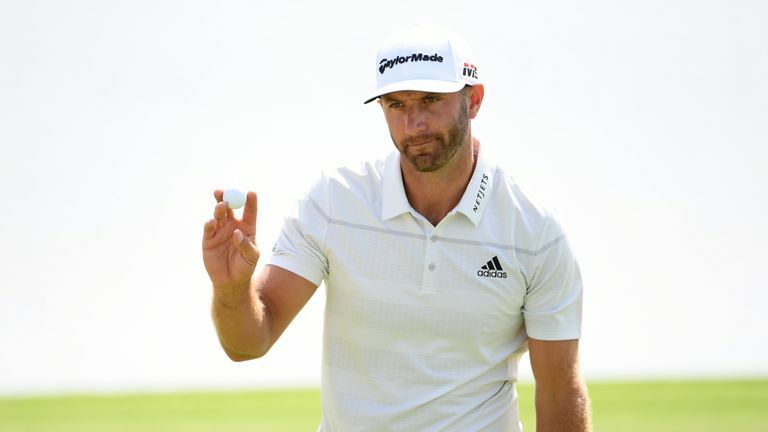 Johnson opened with back-to-back birdies and picked up further shots at the 15th and 18th to reach the turn in 31, before holing a 15-footer at the second to move within one of the lead. 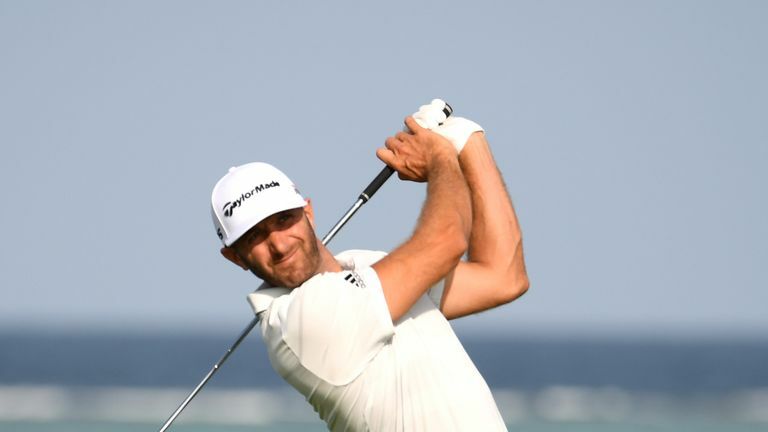 Dustin Johnson was happy with his performance during the second round in Saudi Arabia. The American drained a 30-footer from the fringe to eagle the fourth and added back-to-back gains from the sixth to extend his advantage, with pars over his closing two holes setting the clubhouse target at 11 under. Lombard briefly led after three birdies in an eagle in a four-hole stretch but bogeyed the last to close a three-under 67, while Li birdied two of the last three holes of his second-round 65. Bryson DeChambeau is seven strokes off the pace after a two-under 68 and Patrick Reed birdied three of his last six holes to make it through to the weekend on two under, with Brooks Koepka a further shot back alongside Sergio Garcia. Rose posted a front-nine 34 but suffered an early exit after following bogeys at the 10th and 14th with a double-bogey at the 16th, where he found water off the tee and then fluffed a chip from the rough.